Monday this week was World Diabetes Day. It's is one of those made-up things that come around every year and hope to raise awareness of something or other - World Sparrow Day... International Day of Happiness... World Toilet Day... One of my own favourites is 'International Talk Like A Pirate Day', but I digress... Aaaaarrrrrrrrr! World Diabetes Day is held every year on November 14th, good ole Freddie Banting's birthday (one of the guys who was instrumental in the discovery of extracting and using insulin in diabetes treatment). It was nice to see a WDD themed Google Doodle make an appearance, something that us pancreas-impersonators have been asking for for many years. Slightly early start to the day but the routine is the same. First thing, even before kettle goes on is to check blood glucose level. Make small hole in finger, squeeze out drop of blood and apply to test strip. Result: 8.3. Ideally this would be between 5.0 and 7.0. Give insulin for breakfast. Estimate single slice of toast as 15g of carbohydrate (12g for the bread, 3g for a dab of marmalade). 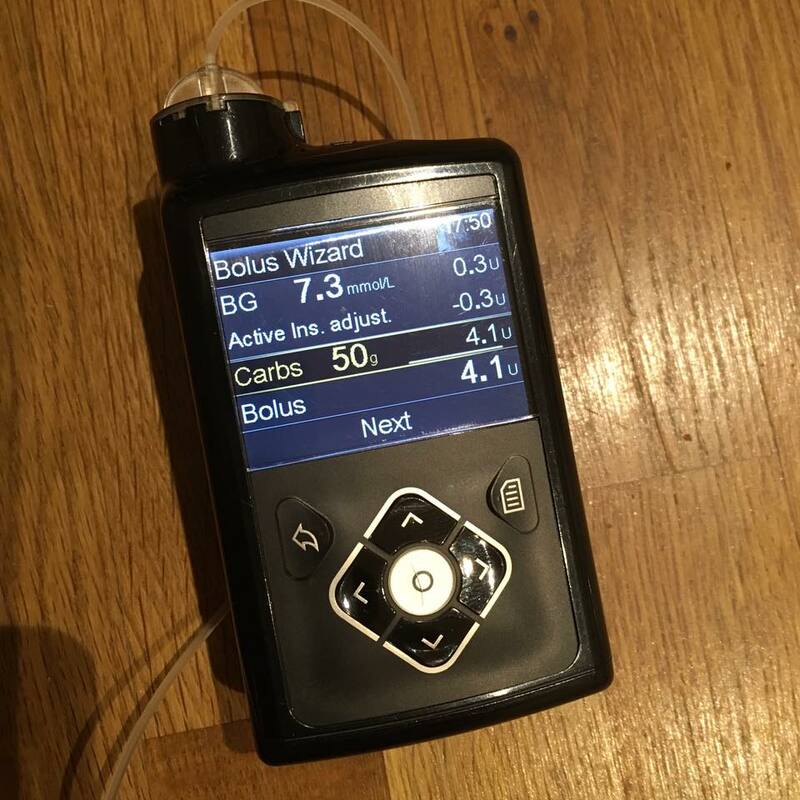 Insulin pump suggests 1.3 units of insulin for the carbs, plus 0.6u to correct the slightly high BG level. In addition I also need an extra 1u for my liver releasing extra glucose when I get up (part of the body's Circadian Rhythm). Dose delivered I will now wait at least 30 minutes to eat breakfast. Regarding waking BG level: The official guidelines are 5-7, I think. The 7 is to give some wiggle room for a rise after eating. Usually pre-meal guides are 4-7, but at breakfast they make it 5, because regularly waking in the 4s is associated with increased risk of undetected nocturnal hypoglycaemia which can be a real problem. Check pump display to remind me when I had dosed for breakfast. I have been waiting 30 minutes to eat for so long I often instinctively get this right. I thought to check at about 28 minutes today which is about perfect. 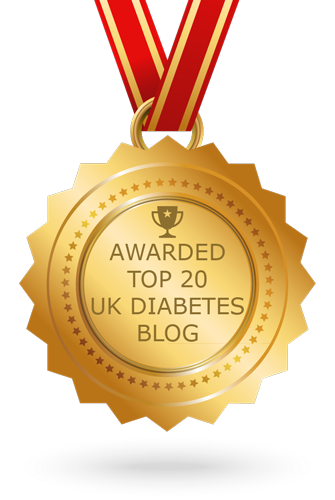 I need to leave a gap between dose and food because the 'rapid acting' insulin I use is not actually very rapid. I cannot afford getting distracted though as if I wait too long the insulin could start working before the food kicks-in and my BG levels could drop too far. It's a balancing act! Breakfast of champions. 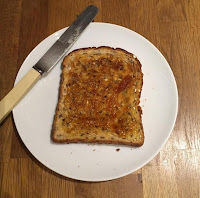 I have tried many things over the years but this seeded bread is fairly reliable for me (everyone's reaction to different foods is frustratingly and confusingly different). It has slightly fewer carbs than regular bread - 12g per slice vs the more usual 18g - and the seeds help to slow absorption. It is anything with carbohydrate that raises blood glucose levels, not just sweet things, so that's bread, rice, pasta, most fruit, anything made with flour, grains, root veg, and then all the sweet and sugary things too. My task is to match the carbohydrate I eat with doses of insulin. And then to match the speed of absorption of the food with the timings of the doses. I cannot hope to get that right all the time. But the lingering threat is that if I get that wrong too often I am at risk of blindness, heart attack, stroke, kidney failure, limb amputation (high levels) or unconsciousness, coma or death (low levels). Fun eh! 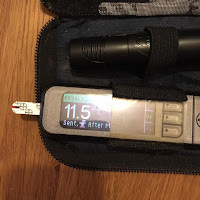 Over the past 25 years I have spent more time thinking about the potentially disastrous outcomes of my efforts to manage my diabetes than is probably good for a person's mental health. 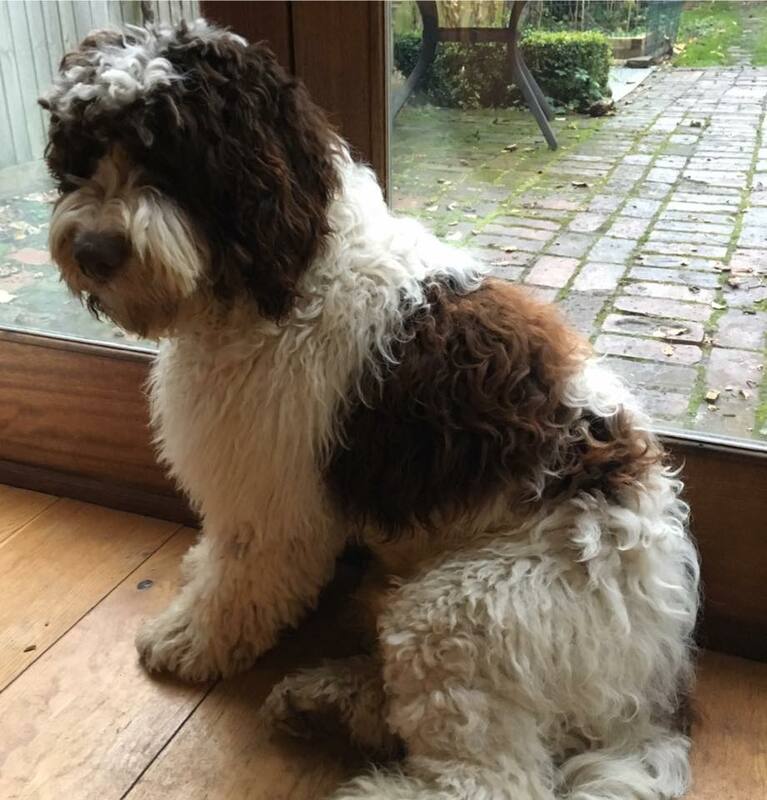 Time to take this moppet out for a walk. Activity and exercise need more fuel than resting and tend to make insulin work more dramatically, so I need to allow for that, even when it's something as insignificant as a 35 minute wander. My insulin pump allows me to reduce my 'background' insulin level, so I am setting a 70% Temporary Basal Rate for 45 minutes. Back from dog walk, just checking to see how things are going. 11.5mmol/L. This is too high, it looks as though I could have done without the TBR I set (though tomorrow might yield different results even if I do exactly the same things). 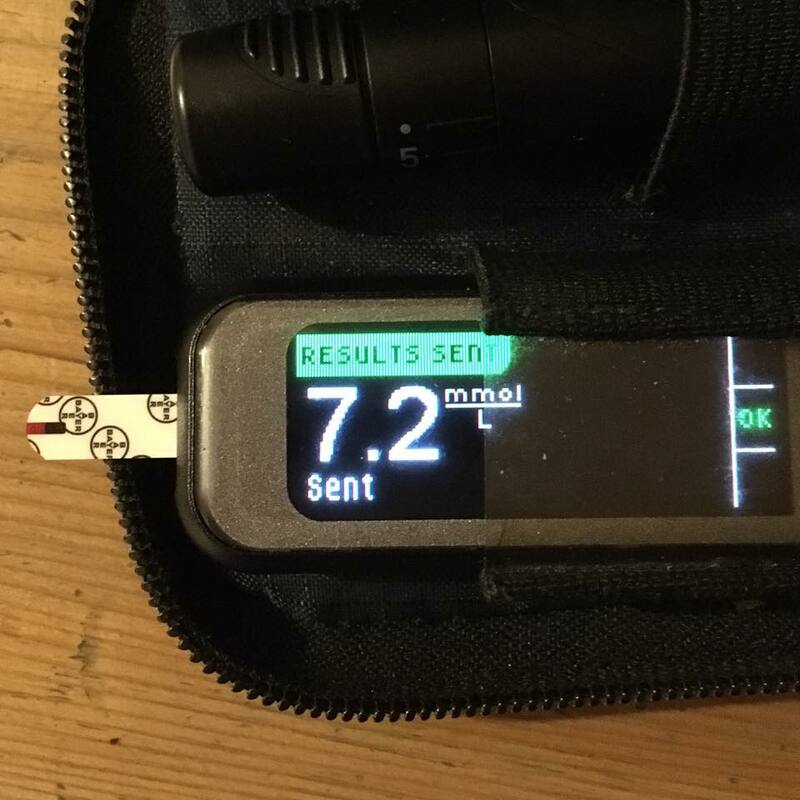 Ideally this should be no higher than 9mmol/L 2 hours after eating so I am adding .7u of insulin with the aim of getting me back to 9 and leaving the insulin already 'on board' to deal with breakfast as it continues to digest. It's 9:14 and I realise I have already forgotten to mention something. I had a shower, so I disconnected my insulin pump temporarily, capped the tubing and the cannula that is inserted, currently, on my back. After the shower I primed the tubing and reconnected. So many of these interactions are so automatic I barely even notice them any more. WDD Update: (It's RELENTLESS isn't it?) 10am and feeling a little bit indigestion-y / dry-throated. 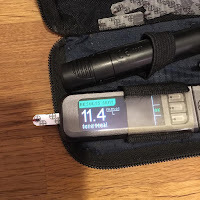 This *might* be connected with my raised blood glucose levels, but my symptoms of high BGs are patchy to say the least. It is probably because I have just been thinking about it since breakfast and it's all in my head. Or maybe it isn't? 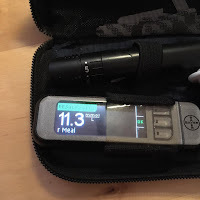 Tempted to check my blood glucose level again, but the thought of another finger prick so soon after the others (and especially because I think it will be another high level) is not encouraging me. I am also feeling a bit hungry, but adding the complexity of something carby at this stage will just create even more confusion/uncertainty so I am having a handful of nuts and a cup of tea instead. It's not that I *can't* have a couple of biscuits - it's just that the mental effort, and potentially disastrous BG outcomes kinda drains the joy out of them. The really REALLY irritating thing for me is that my clearest symptom of low blood glucose is ALSO 'feeling a bit hungry'. So every time I feel a bit hungry I have to work out whether my BG is too high because of what I've just eaten, too low because I've over-compensated or, perhaps, that I might be just 'a bit hungry'. Pah! My Twitter feed is ablaze with #wddchat16 today. A 24-hour curated international Twitter conversation with different countries hosting an hour and handing over to each other. Thousands and thousands of people connecting, sharing experiences and supporting each other. I find great support to help me manage my T1 by connecting with people online, but I am going to have to resist getting involved on Twitter today or I am *never* going to get anything done! Lunchtime beckons. As you can see, the carefully considered correction doses I have administered today have had absolutely no effect, even though all of those doses have now finished working (approx 4 hours). I am beginning to feel the sluggishness of high BGs emerge. Lunch is a 2 slice Burgen bread sandwich and an apple*. 25g carbs for the sarnie and allow 20g carbs for the apple, so 45g total. My lunch ratio is 1 unit of insulin for 11g carbs. 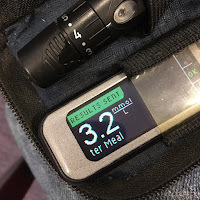 Thankfully my pump can do the maths for me, along with calculating a correction based on 1u lowering my BG by 3.5mmol/L and the difference between my current BG and my ideal mid-range target. Confused yet? Dose for lunch is 4u, plus another 1.5u correction for the high BG. I will wait rather longer to eat this time, with the intention of being more in range before adding more carbs. A tricky timing challenge as the longer I leave it the more steeply dipping my BGs will be when I eat, and the food will take a while to get going itself. It can feel like trying to hit a perfectly weighted long-ball pass to a sprinting striker... in the rain... into a headwind. * I tend to eat the same things for breakfast and lunch week in, week out. Partly habit, but mostly to reduce the number of variables by sticking to things that have been 'fairly reliable' (Ha!) in the past. 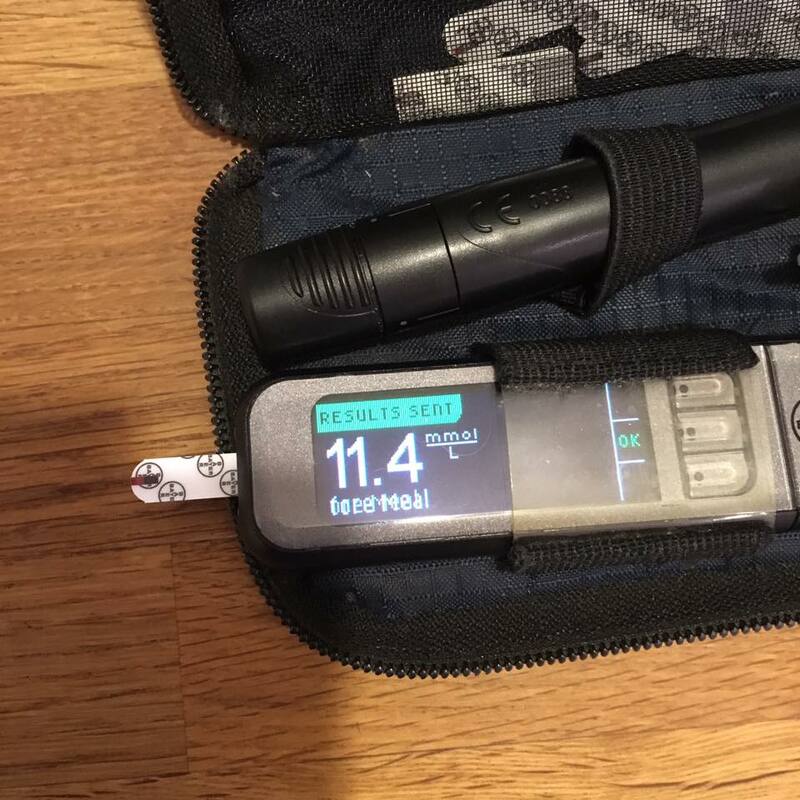 That way if results are not as expected I can discount carb-estimation and food-absorption-speed errors, and it becomes more likely that my insulin needs have changed again. How long has that been? Ah. OK, my instinctive 30 minute recheck. Will leave it a while and BG check again. It must be exhausting being you: The thing is... 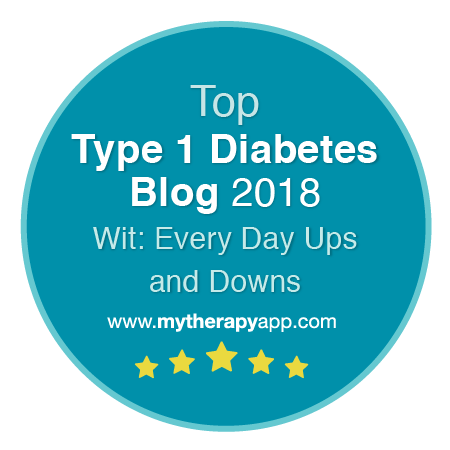 I recognise how amazingly lucky I am to *only* have T1D to live with. And to live with it in the UK with access to insulin, tech and the unbelievably amazing NHS. If I'd been given a list of LTCs to pick from aged 21, it would have been a pretty good option. Just checked again. #BGnow of 9.3 after a full hour. Not perfect, but it will have to do. If I don't eat now I'm likely to get too absorbed in what I'm doing and forget. This is getting a bit annoying now. Walked to Coop without TBR as things have been running high and I'm still too high on return. If things were working I would already be back in range. Correcting with a further 2.5u. Pump recommended 0.7u as I still have 0.7u 'insulin on board' from lunchtime. Initially thought about 1.5u, but have added another unit. Essentially I am now dosing what I think is 'slightly too much' because 'enough' isn't doing anything. I will need to keep an eye on it towards eve meal time. Starting to feel a bit crabby/irritable. Could raised BGs be an issue with the infusion site? Good thought, Not sure though... Would expect a much more dramatic rise with a cannula fail rather than being held steady through subsequent meals. This just feels like walking the wrong way on a travelator. Have been expecting my basals/ratios to shift soon. Looks like this could be it? Yay! My first in-range result of the day. Must remember to change my insulin pump battery before I go out for the evening. Last thing I need is Threepio wailing away when I'm trying to play guitar. Just prepping for evening meal. Here's my insulin pump working up the mathematics for the dose. Feel very lucky to have access to tech which can fine tune doses like this. 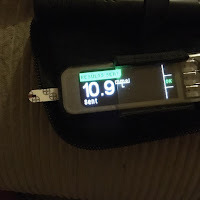 And if I decide I want to up my insulin intake by 10% tomorrow I can adjust the settings and let it work out the new ones. My diabetes may not behave reliably/predictably, but at least I can wrestle it with some precision on one side of the equation! Typical, just when you can't watch what is going on and just when you really don't want to dip low. Several handfuls of Skittles to the rescue. Don't want to repeat the brain-fog for the next lot of songs. Regarding hypo warning signs: The ones that sneak up on me at that level really scare me. I tend to get good signals at least between 3.5 and 3, this time I had lack of coordination and slight sweating as clues. Didn't get my more usual anxiety/hunger until on the way back up. 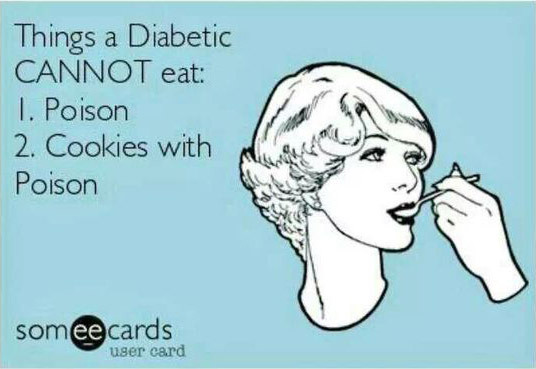 That's the thing about T1 diabetes. You really can't rely on it to behave consistently. Just when you have been running high all day, and without rage-bolusing for a meal you get an unexpected dip. I suspect a slight mis-estimate of carbs for my evening meal, and not quite enough of an insulin delay for noodles (some carbs take longer to hit my system and an insulin pump allows me to deliver the dose either fully or partially spread over a number of hours). Still surprised the handful of extra fast carbs I ate as a 'safety cushion' disappeared so completely. Another check, and as I half expected I slightly over-did the hypo correction. Always tricky treating a hypo when you have insulin active, and when you don't want to risk a double-dip. I added a 30 minute 0% temporary basal rate just in case. Looks like a few Skittles too many. Another correction delivered. Not my best day of BG control. But not my worst either! 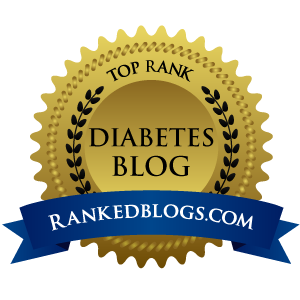 This is the last of my posts as part of World Diabetes Day. I waited up to allow that last correction to settle in. In Sesame Street style, today has been brought to you by 9 blood glucose checks, 110g of carbs, 29.475 units of insulin (40% background, 60% meal/correction). 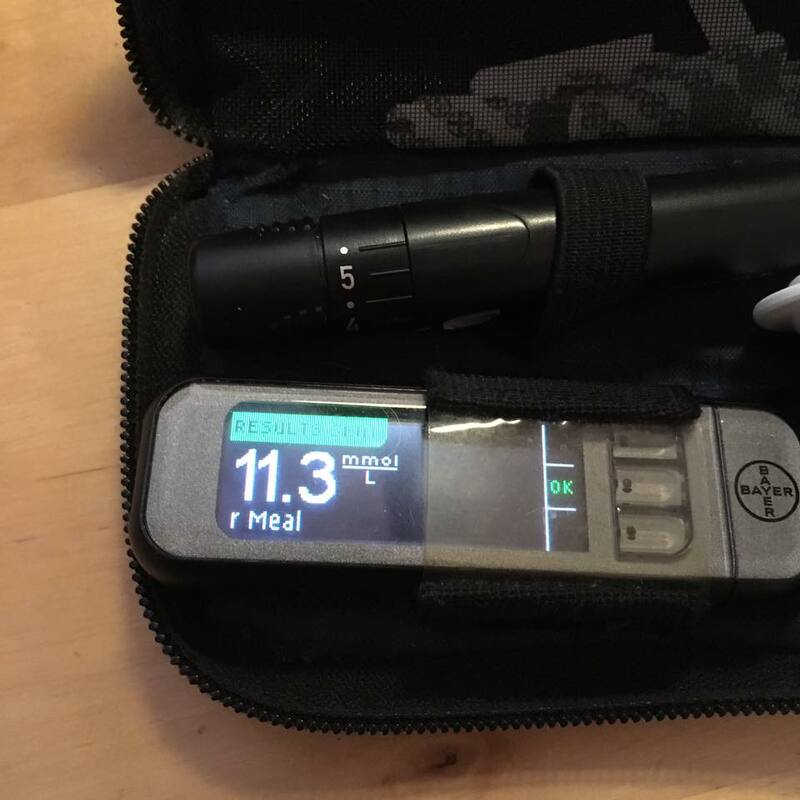 Just an average day with T1D (with above average BG levels). Keep it up, you are a hero! Aw thanks heasandford! Glad you enjoyed it and your encouragement means a lot. Yes it takes quite a lot of effort to 'only' do that badly!